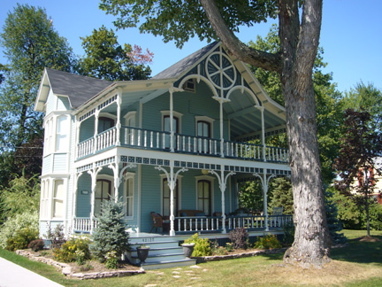 Description An exterior renovation of a late-nineteenth century structure. During the mid-twentieth century, the exterior was clad in large cedar shingles. 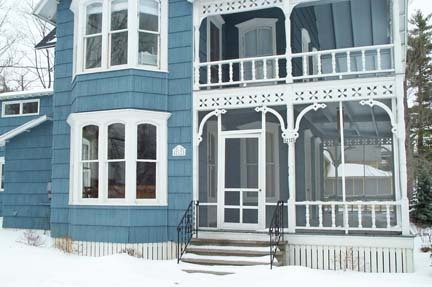 The current owner wanted to remove that siding and return it to the original shiplap, or cove-mould, siding. 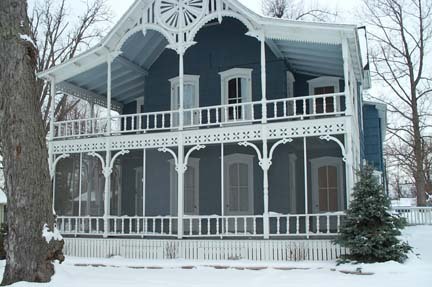 In addition, the majority of the front porch was rebuilt to return it to its original condition. 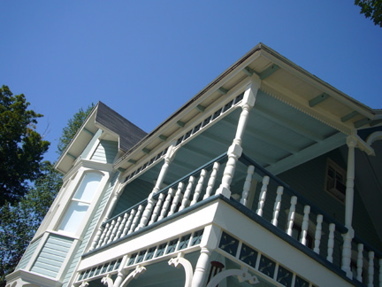 This included remaking the turned columns, and repairing and replacing gingerbread trim details.